Clean drinking water is a basic human requirement. Unfortunately, not everyone is able to access even this basic human need, especially in non-urban areas of the country. Realizing this challenge, Maruti Suzuki India Ltd. has been working to set up Water ATMs in its adopted villages in Haryana. The Company has designed a self-sustaining partnership model that provides clean drinking water to villagers at an affordable price. 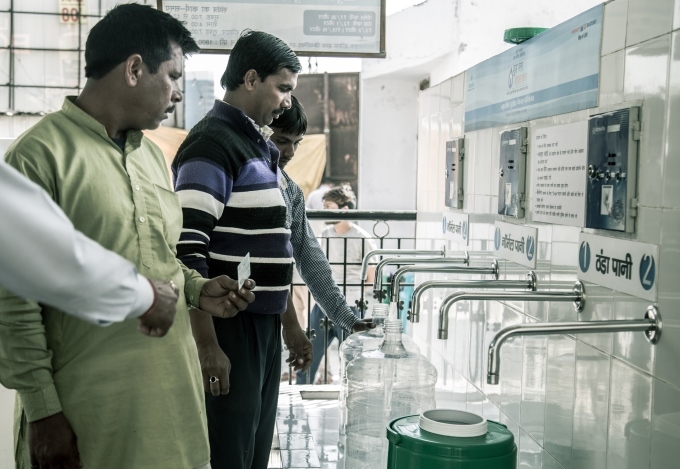 The partnership model is such that the Company bears the initial cost of the water ATM and the Village Panchayat provides the land and the electricity to operate the facility. The plant has been set up and will be operated and maintained for at least 10 years by WaterLife India. This partnership ensures that villagers can access clean drinking water, meeting WHO and ISO 10500 standards, at 35 paisa/litre. 11 water ATMs have so far been established by Maruti Suzuki in Haryana under this model since 2016. These are located in the villages adopted by Maruti Suzuki in the state. Prior to setting up the Water ATMs, the only available clean water in these villages was sold at a very high selling price by families with access to RO purifiers. These water ATMs have seen over 8,700 registrations till now and have dispensed around 5.5 lakh litres of clean drinking water till date.